“The passing of 57 year old Phillip Fatis Burrell at a time of great nostalgia for his 1990s productions resulted in a huge outpouring of sadness and love for his music. 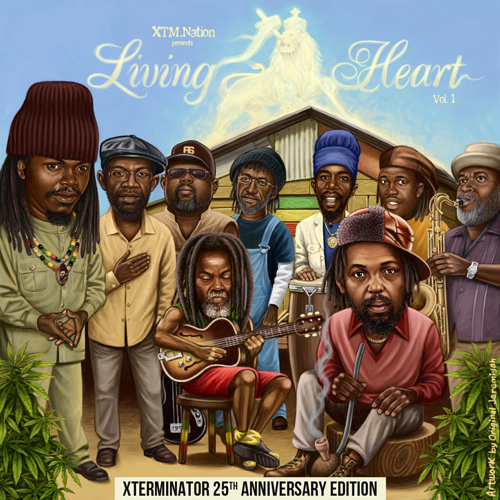 Burrell’s Xterminator empire was a chief architect of the 90s roots revival that helped make Sizzla and Luciano’s names — while giving valuable grounding to next generation artists such as Chezidek and Lutan Fyah. 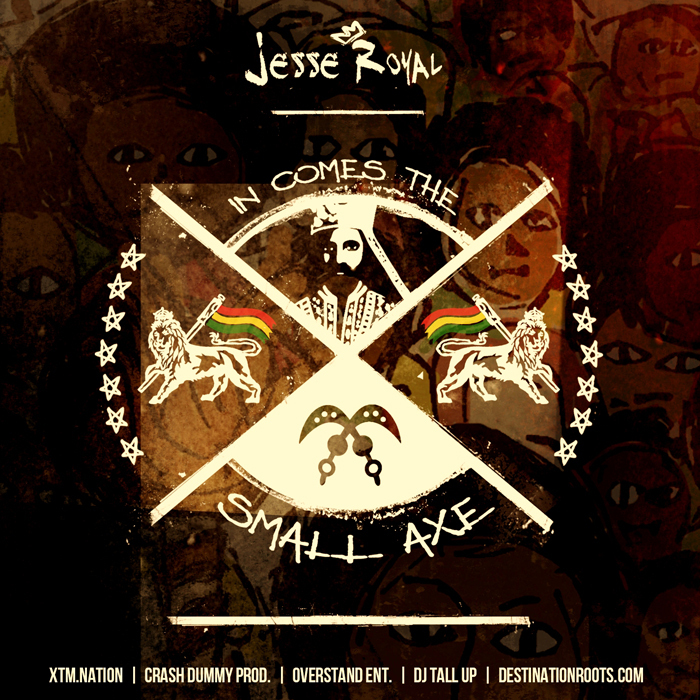 Following a militant and highly entertaining performance at the recently held ‘Live From Kingston’ in Jamaica, Jesse Royal affectionately called the ‘Small Axe’ releases his sophomore mixtape, dubbed ‘In Comes The Small Axe’. This mixtape, mixed by DJ Tall Up, is a follow up to his celebrated debut mixtape, ‘Misheni’ and features production from Crash Dummy Prod, XTM.Nation, Overstand Ent. and Bambas Dois. 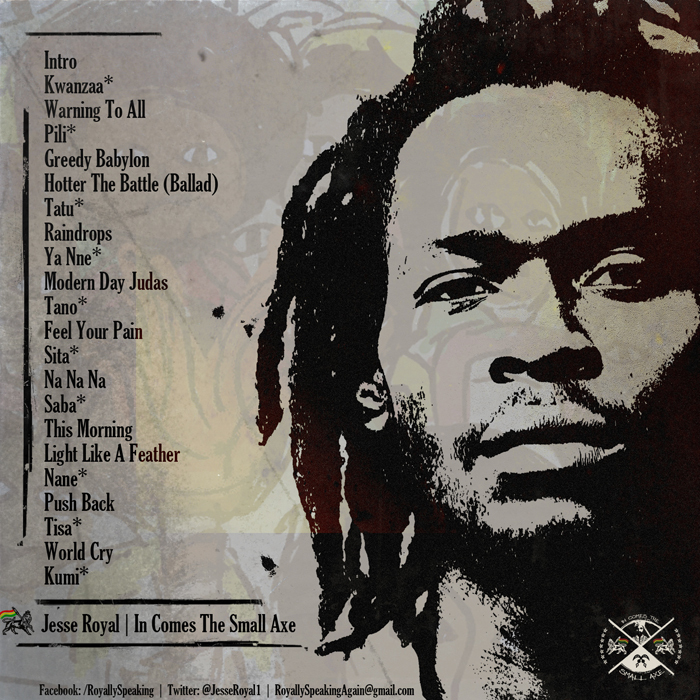 See the tracklist below. Also download the official ‘In Comes The Small Axe’ wallpaper. As Jesse matured into a young lion, his mother observed in him a strong sense of integrity and a natural ability to positively affect those around him. But it was his deep spirituality, passion for life and unique connection to music that would convince her that he was being molded to be used by the Creator. 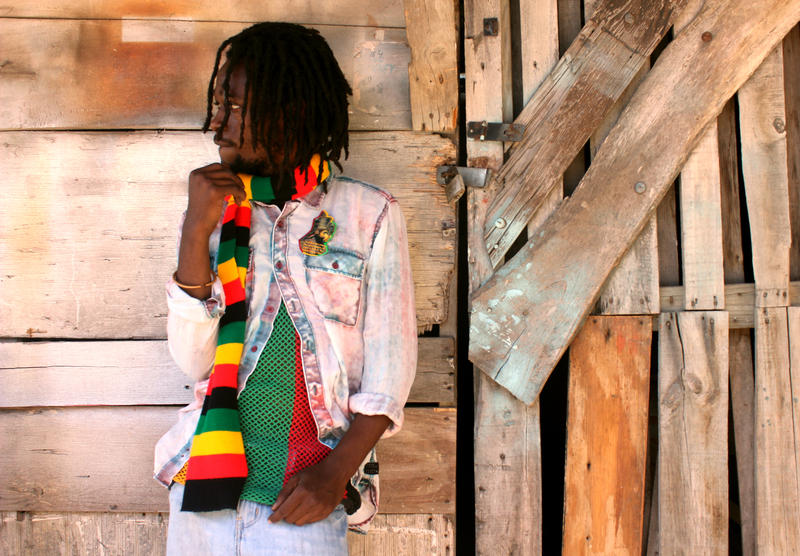 Jesse David Leroi Grey, born April 29, 1989, enjoyed his early years in the hills of Maroon Town and the District of Orange in St. James before moving to Kingston in the late 90’s with his Mother and brother to join his Father. As fate would have it, Royal developed a special relationship with Daniel ‘Bambaata’ Marley (son of Ziggy Marley) at school. This friendship with Daniel proved to be fuel to the fire as they both shared a deep passion for music and football; they naturally became brothers with different mothers, spending most of their childhoods together. As these cubs became lions so grew the friendship and devotion to music. They began composing and creating their own music with the help of longtime friend Curt White and thus their musical journey began. After Jesse returned home from schooling abroad, a relationship with high school friend and young producer Kareem ‘Remus’ Burrell (son of Philip ‘Fatis’ Burrell) reignited. They began creating and composing music together also which developed into a Movement as they shared similar views on the social state of Jamaica. 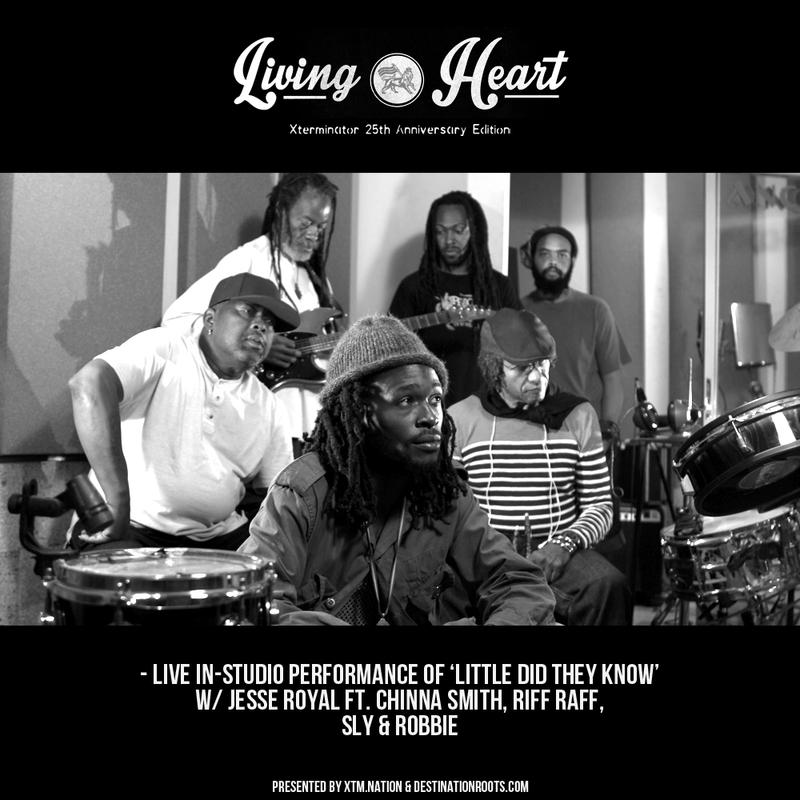 Blessed with a voice that captures the pain and hunger of a ‘downtrodden’ people; Royal’s militant character and profound lyricism caught the heart of heralded reggae producer, Philip ‘Fatis’ Burrell. Fatis Burrell, affectionately called ‘Father’ had a great and pure impact on the ‘old soul’ of Jesse; as he credits him as an invaluable inspiration and one of the most influential individuals that he has ever encountered. 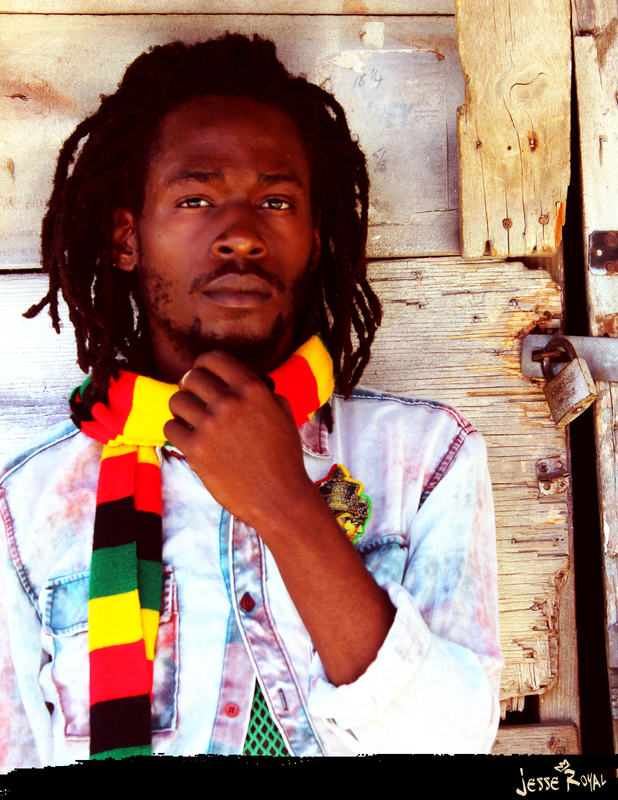 Jesse Royal recently released his debut mixtape, ‘Misheni’ and is currently putting the final touches on his debut album with Kareem Burrell of the XTM.Nation. 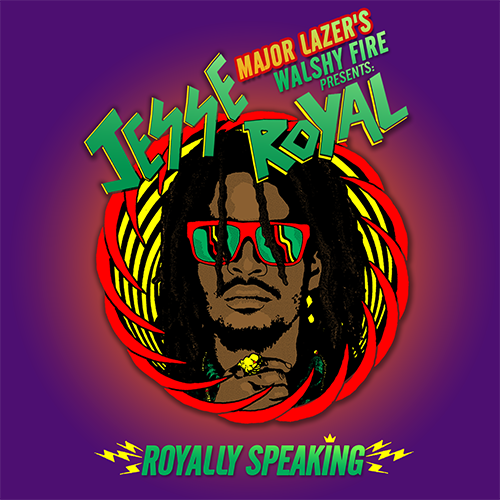 Check out Jesse Royal on Facebook, Twitter, and of course the Jesse Royal Website. Stay tuned for much more on this young talented lyricist/performer.